Home Big Event SOLSTICE SINGERS – Saturday, January 3, at 4:00 p.m.
SOLSTICE SINGERS – Saturday, January 3, at 4:00 p.m.
Saturday, January 3, 2015, at 4:00 p.m. Please join us for this special event. There is a suggested donation of $25, with a $40 family maximum; $20 seniors & students. No one will be turned away. The concert will be held in our sanctuary followed by a reception of hearty soups, baskets of bread, platters of goodies, hot coffee and tea. 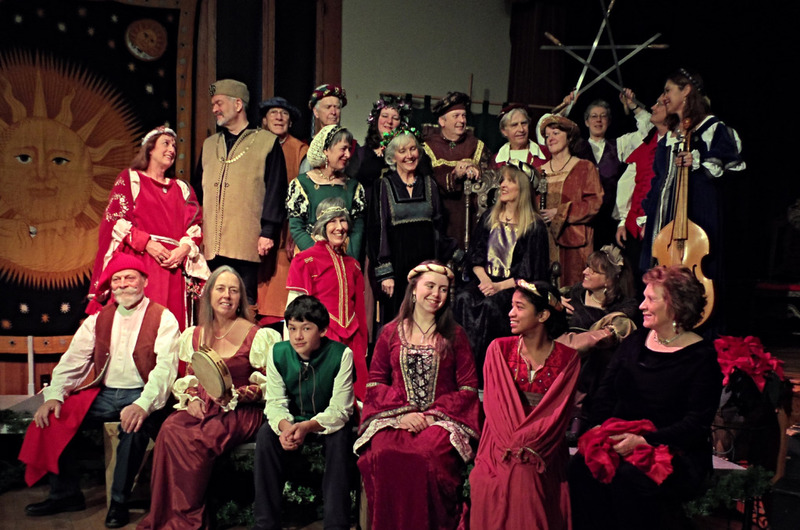 This troupe of Falmouth based performers will present a delightful program of mostly Renaissance and Medieval music including song, dance, humor, poetry, and rich instrumentals provided by members of Ensemble Passacaglia. Wearing color period costumes, the Solstice Singers will bring delightful harmonies to the dark of winter.